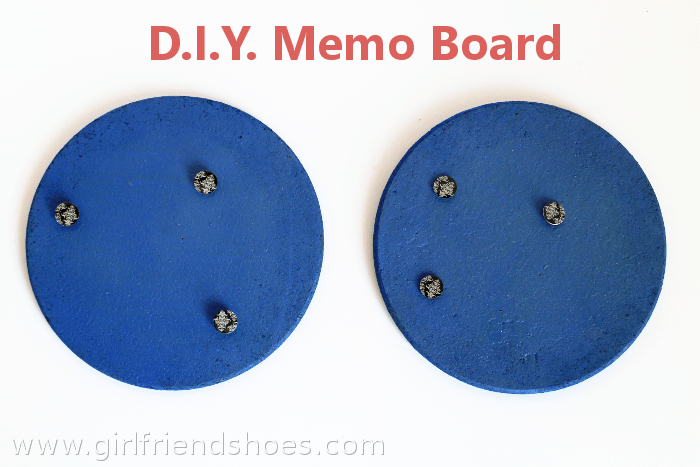 I recently did a post of D.I.Y. cork board ideas and made some really cute round cork boards however, I also wanted something to hang things on if I didn’t want to puncture a hole in it, like a photo or something. I had a big wooden picture frame that was perfect for the job. I painted it pink – leaving it somewhat unfinished looking because I wanted the shabby chic look to it. 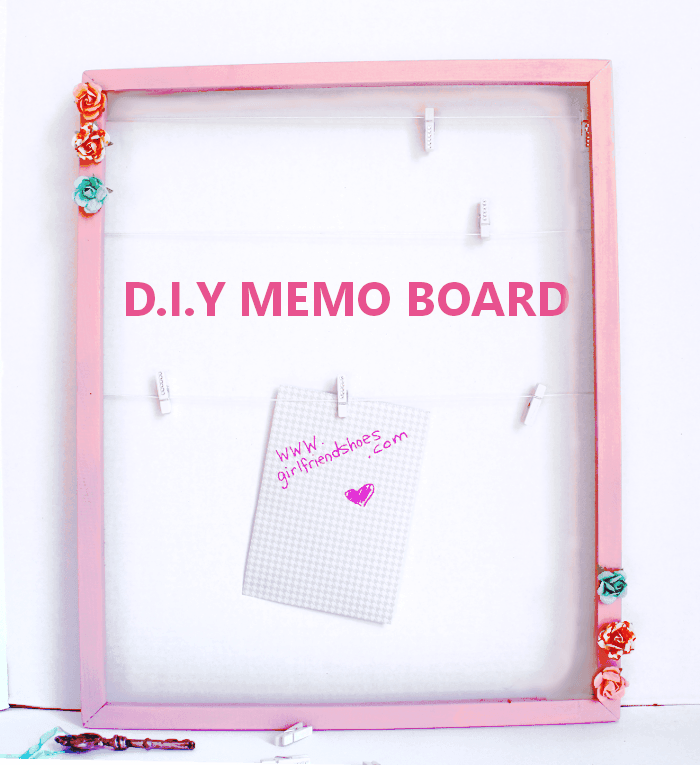 I then used thumb tacks and wound some white cord around them on the back of the frame to make a sort of clothesline for my memos (or whatever) I added some cute embellishments – vintage looking flowers – to each side and am quite content with how nice it turned out. 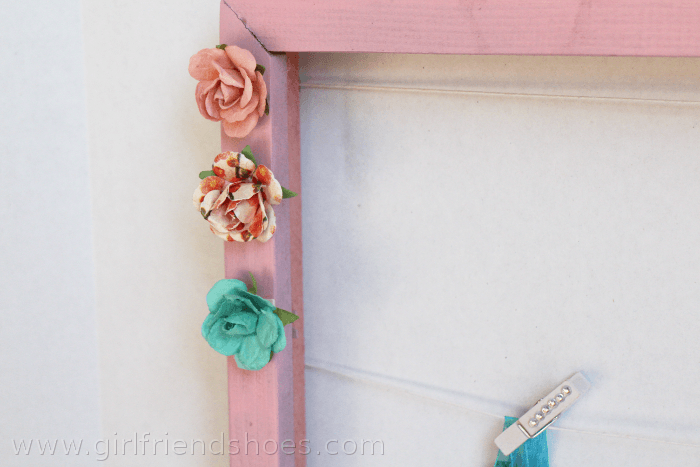 I got a package of small clothespins from Michael’s store which were perfect for this clothespin�frame. My makeshift office is coming along piece by piece. I cannot wait until I can put it all together and show the final project. What do you think of my makeshift office projects so far?